If you’re going to give someone your heart this Valentine’s day, make it a chocolate one—Belgian chocolate, to be exact. After all, in the world of chocolate, Belgium is king. The country houses a higher concentration of chocolatiers than any other on the planet, and still sticks faithfully to Old World, artisanal methods of making their candy by hand. While many American and European companies cut chocolate production costs by using small amounts of vegetable fats instead of pure cocoa butter, Belgian chocolatiers adhere to stricter standards requiring 100% cocoa butter, real sugar, and NONE of the fake stuff. For a taste of Belgian’s finest in New York, head over to 52nd and Madison Ave, where two of the nation’s most beloved chocolate houses, Neuhaus and Leonidas, have settled into boutiques kitty-corner from each other. Both companies have been making chocolate for over 100 years, and Neuhaus can be credited with inventing the famous cream-filled chocolate praline way back in 1912. Amidst a dizzying assortment of white (not our favorite), milk, and dark chocolates and truffles at each shop, I found a few Valentine-appropriate treats that are not to be missed. For dark chocolate lovers, I highly recommend Leonidas’s Orangettes, dark chocolate-covered candied orange peels. These bittersweet candies have a seductively rich, burnt orange flavor perfect for those who don’t like their treats too sweet (this was the least sugary chocolate I tried!). At Neuhaus, the aptly named Désir, a layered confection with a dark chocolate outer shell over crispy nougatine and creamy ganache, is a decadent play on texture. Alternately dark, sweet, and nutty, Désir is befitting for those who want it all in one chocolate. 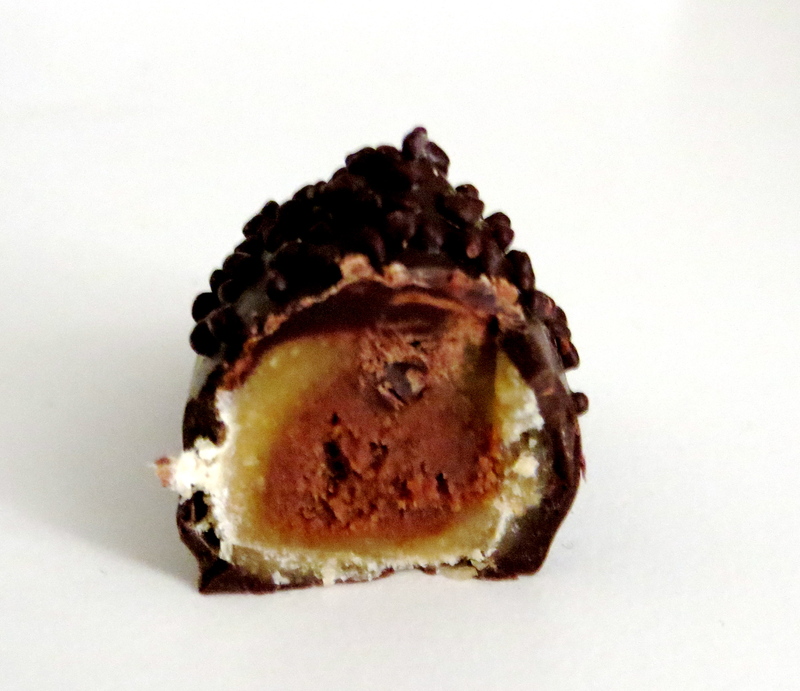 If your tastes err on the sweeter side, go for the classic praline, a chocolate with cream filling. 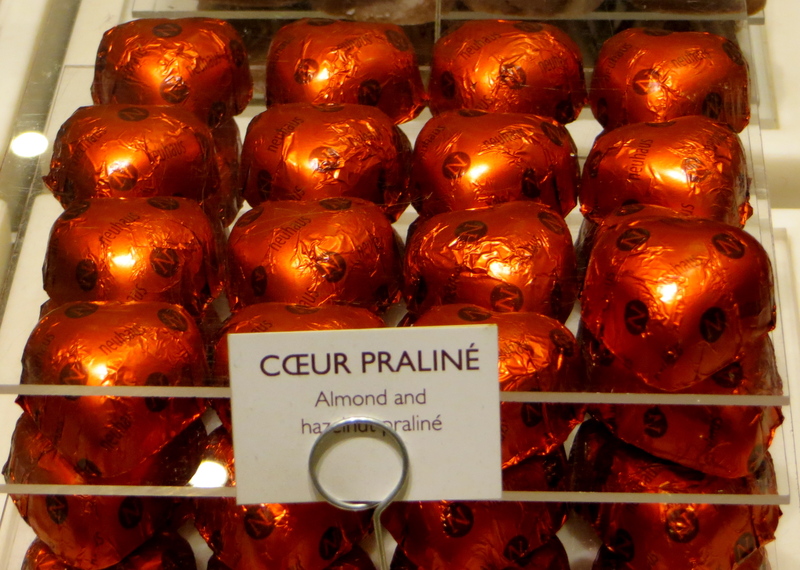 For Valentine’s Day, both Neuhaus and Leonidas offer heart-shaped pralines wrapped in shiny red foil. I tasted both, discovering subtle differences between the two. Neuhaus, revered father of the praline, crafts a silky cream with subtle hints of almond and hazelnut that add nuance to its very pure cocoa flavor. Leonidas’s praline is filled with a hazelnut paste that tastes distinctly nutty and slightly sweeter than that of Neuhaus. Both candies deliver that melt-in-your-mouth perfection that only the Belgians can achieve. Forget February 14th. We’re dedicating the whole damn month to indulging our sweet (chocolate) tooth.